Calvin L. Smith: Israel and the Flotilla: What About the Bigger Picture? Israel and the Flotilla: What About the Bigger Picture? Once again Israel has hit the news spectacularly, and yet again many Christians have simply aped the bitterly polarised and heated debate concerning the Jewish state which rages across the secular world. Thus, many on the religious left once again shout loud and indignantly, rather idealogically and unrealistically condemning an entire nation (pity we rarely hear the condemnation quite so vociferously when the other side fire rockets or blow themselves up in crowded streets), while some extreme Christian Zionists, as always, slavishly defend Israel no matter what she does, almost as if the secular Israeli government is somehow inerrant. The result of such hysteria is that the strategic ramifications of the wider issues and conflict are lost on those Christians who seem quite incapable of exploring events objectively and disappassionately. Yet it is worth for a moment taking stock of the bigger picture and how this might have a bearing on the region, and indeed upon the rest of us, regardless of our theological view of Israel. It seems to me one of the gravest aspects of this issue for the region is the breakdown of the once-famous Israeli-Turkish alliance. But make no mistake, this has been coming for some time. Turkey previously guarded its secular constitution jealously, perhaps aware that even the slightest weakening towards religion would eventually let the Islamist genie well and truly out of the bottle. But things began to change with the election of the conservative AKP, a political party consisting of several blocs, including mildly Islamist factions. The AKP came to power in 2002 and was reelected in 2007, and for a while the Turkish military was uneasy with this new religious focus, ready to intervene militarily if necessary. The country's increasing division along secular-religious lines is typified by the government's attempt to lift the headscarf ban for women and gthe reversal of other strict secularist laws, together with strong opposition to such efforts. What is clear is that Turkish relations with Israel have cooled considerably throughout the noughties, culminating in yesterday's events and most undiplomatic language emanating from the highest political echelons (including referring to the flotilla raid as an "act of piracy" and "state terrorism"). Politicians and diplomats rarely use such language unless they have no intention whatsoever of rebuilding relations any time soon with the other country. Famously, too, the Turkish PM Erdogan stormed out of a meeting of the World Economic Forum held in Davos in January 2009 after a very public argument in front of the world's media with Israeli president Shimon Peres over Gaza. He returned home to a heroes' welcome, and arguably his actions were not entirely coincidental. Neither is Turkey's undiplomatic language yesterday. Importantly, many of those involved in this week's events were Turkish nationals, some of them well-known militants, yet it appears Turkey did very little to dissuade the flotilla from heading for Gaza. Indeed, I've heard it postulated that Turkish involvement in the flotilla by well known militants wielding iron bars is somehow a trick (a kind of Turkish maskirova, the Russian name for a military deception) to provoke Israel and distance itself further from the Jewish state. Whether or not this is the case, the erosion of Israeli-Turkish relations reached a critical stage yesterday, leading Turkey to cancel joint manouvers with the Israeli military. (Ironically, Turkey - at least for now - plans to go through with an arms deal with Israel, purchasing drones worth about $180m.) Thus, yesterday's events represent the culmination of Turkey's shift away from a military alliance with Israel over the best part of a decade. 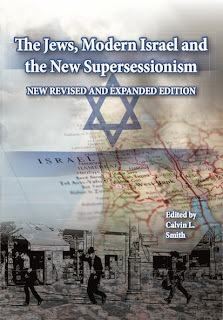 This has been accompanied over time - significantly - with Turkey's gradual warming of relations with some of its Muslim neighbours and its efforts to ditch some of its secular constitution, which together arguably mark a perceptible strategic shift in the region which further isolates Israel. Given Turkey's membership of NATO and its continued efforts to seek EU membership, here is a player which, albeit indirectly, may drag other parts of Europe and the West into a protracted diplomatic, economic and who knows, maybe a military conflict in the Middle East, not so much where Europe gets involved but has little choice but to lend some support to Turkey. We'll see how the bigger strategic picture develops over the long term. Having considered the Turkish aspect, what bearing do this week's events have on Israel? My support for Israel is well-know, but neither is it slavish. Yes, Israel warned the convoy not to sail to Gaza, but it did so anyway. She also warned the convoy to divert away from Gaza, but of course it refused to do so. Israel then advised she would be boarding the ships and to stand by (five did, the sixth did not). And Israeli troops were met by militants ("peace" activists) with iron bars and other weapons so that soldiers were beaten (footage from both the Israeli military and taken from on board by others demonstrate clearly this is the case). I sincerely hope we won't be hearing justification for such actions from those on the religious left who love to quote Jesus' words "Blessed are the peacemakers". Neither was Israel's boarding of the ships illegal (not that international law is always right or moral). On BBC Radio 4's The World Tonight last night the presenter interviewed Dr Douglas Gilfoyle, an expert on international law at University College London, who explained why boarding ships seeking to break a blockade is perfectly legal, even according to rules set down by the Red Cross (fast forward to about 18 minutes 45 seconds... the link will probably expire tonight). The presenter didn't seem best pleased to hear this unequivocal opinion. Yet all this said, the Israeli attack on the flotilla was a complete disaster. It was not only a PR disaster, as we have seen in the past 36 hours (and a PR coup for Hamas), but a military embarassment. Immediately before the interview with the international law academic on The World Tonight, the programme spoke with the former SAS veteran and author Andy McNabb, whose view was that Israel should have got far more troops on board quickly and armed them properly, pointing out how it seemed some of the Israeli soldiers were even armed with paintball guns! Today The Times also reports something similar, which all suggests Israel was more keen on seeking not to appear heavy-handed than acting in a coherent military manner. Consequently, ill-prepared and equipped troops were set upon by iron bars, apparently a gun was snatched by a militant and fired, and Israeli troops panicked and drew handguns, leading to the tragic situation of people dying. Christian Zionists can claim foul all they like, and I agree all is not as it seems. That five ships with protestors obeyed the authorities, while the sixth did not, demonstrates this to be the case. But after the 2006 Lebanon war, during which the IDF to all intents and purposes won, Israel's military pride was nonetheless severely dented. Then we had the fiasco of the botched Mossad operation in the Gulf (not that they failed to get their target but rather they were all caught on film doing so). And now Israel sends crack troops armed with paintball guns into an operation which, although the facts are not yet all out, at this moment in time looks like something from the Keystone Kops. We'll see what transpires, but so far it adds to a growing narrative in the Middle East of Israeli military incompetence, a narrative which is dangerous for the region, and indeed Israel's existence. There's a very real danger Iran, Hizbollah and others will begin to believe their own lie. eChurch Christian Blog with various links. Stephanie Gutmann on the PR disaster which is a win-win for Hamas and Con Coughlin on why Israel needs to up its PR game. Peter Beinart asked a perceptive question of lobbyists for Israel in the US recently, which I would put to you, too. Calvin - I agree there is right and wrong on both sides. This incident was provoked by Islamic extremists, and Israel walked into the trap ill prepared as you say. The result is to whip up hatred of Israel in Turkey and the Middle East. The true Israeli patriots, I would include Ariel Sharon, recognise(d) the need to sue for peace, but seem to be 'excluded' from power. Hardliners take over and drive for maximum offence and war. Both militant Israelis in power and Islamists in power in Syria, Iran Lebanon, Turkey, etc I believe are driving for war at present; a war that may see the Israeli state fail. My concern is for the many Christians who have placed such faith in the State of Israel. What will happen to their faith if the State of Israel is overrun or wiped out? I just wish Christians would open their eyes and see that neither Muslims nor Israelis can produce the fruits of God's kingdoms apart from in Jesus the Messiah; the one who is truly King of the Jews and the rightful Lord over the State of Israel and Muslim nations. There is a need to speak up for peace, justice and reconciliation to give Jews and Palestinians security in the land, although I don't think many are listening. Philip, your question rather implies I'm an apologist for Israel, that for me Israel can do no wrong (this despite me being on record - indeed repeated above - that Christians should eschew an "Israel right or wrong" position). I might equally ask why you appear to take a view which is invariably critical of Israel no matter what. What provocation must the other side(s) extend before you might scream "no, enough is enough"? The line Israel crossed here is one of utter stupidity, not cold-blooded murder. And, frankly, for Turkey, with its miserable history of Kurdish oppression, to take the high moral tone is somewhat hollow. Getting back to my original point, it's the strategic rebalance in the region which is significant here. Calvin, you may have said that Christians should avoid an 'Israel right or wrong' approach, but you then proceeded to air strange theories about how the flotilla may have been a covert operation by the Turkish government to provoke Israel. Bizarre. My main issue with your post, however, is that you seem to care not too much about the people who quite unnecessarily lost their lives, and who are now presumably lost without God. That's the real disaster here, not Israel's image in the wider world. On whether Israel's actions were heavy handed, you might want to consider what the majority of the Israeli government's peers think (ie, other governments). The UN Security Council, as well as the governments of most European countries have taken a very dim view, which I think is pretty telling. On Turkey, the moderately Islamist government has a much better, though still imperfect, record on human rights than the secular establishment that you seem to prefer. Yes, Turkey has been guilty of some very nasty violations, but that's really neither here nor there. Turkey reacted as any other country would have done in the face of such actions towards its citizens, and it comes after a series of questionable Israeli actions towards them. Re your question to me, I'll answer it when you answer mine. Andrew, I mostly agree with you, but for the record, Syria has no Islamists in power. Its government is secular. Philip, not what I would expect from someone so thoughtful in the past. The post is about the wider regional situation and impact, and your suggestion I don't much care people are lost without God is shabby and, frankly, beneath you. Thanks Calvin for this thoughtful post, I'd be glad if Israel ditches Turkey as an ally altogether quite frankly, its bullying of Israel to maintain a denial of the Armenian genocide is disgraceful. Israel is better off accepting the facts of the Armenian Holocaust and rejecting Turkey altogether. With or without Islamists, Syria as an appalling human rights record. You only need to look at the Hama massacre, where between 7,000-40,000 are estimated to have been killed. ModernityBlog, I don't believe anyone questions that. My comment was in response to one above stating that Islamists in Syria are driving towards war with Israel. In fact, the government is controlled by a secular socialist party. That was all. Let's not change the subject, though. Calvin, I was just surprised at your initial reaction, and that you didn't have anything to say about such an appalling loss of life. You say the attack was a disaster because it was bad PR and militarily. And indeed it was those things. But I think the fact that people lost their lives is much more important than both of them, especially from a Christian perspective (in my view, of course). If you found my comment offensive, however, then I'm sorry. I appreciate the apology. Again, I was exploring the bigger picture and what it might mean for the region, because in the long run we could well see far greater loss of life on all sides. However, concerning the loss of life issueyou raise, I didn't want to rush to judgment as so many have until more facts came to light. Indeed, we didn't even know how many died, with Hamas claiming 20 or so at one stage for propaganda purposes. It now transpires several of those on board sought martyrdom. We've also seen the catapults, ball bearings and other weapons, and we've seen the videos and heard the testimony from the Al-Jazeera guy concerning the beating and attempted abduction of Israeli soldiers. Real peace protestors don't act like this, as indeed the protestors on the five other ships did not. However tragic the loss of life is (and I still don't know if just some or all of the dead were provocateurs), don't you think such actions contributed to the Israeli response? I abhor the cold-blooded shedding of innocent blood, but surely those who choose premeditated violence must expect to be responded to with violence, don't you think? you know, nine people are dead, all of them protesters. Some shot at point blank range in the head, as reported yesterday. No Israeli soldiers are dead. I think that speaks for itself. You're right that these weren't 'peace protesters'. But they never claimed to be. They were political protesters trying to break a blockade that they and many others see as illegal and immoral. But in their violence, I think they were wrong. However, I think they were much more restrained than the Israelis. After all, they didn't kill anyone. Surely, if you try to attack armed troops with iron bars, lumps of wood and other weapons then they're going to respond eh ? Philip? What do you think Turkish soldiers would do if 60 to 80 British football hooligans attack them with iron bars? Putting the events into a vacuum like that distorts the picture. Equally you could argue that if you attack a large group of young men in the middle of the night with tear gas and rubber bullets, they're going to respond. It's only when you take into account the big picture that you can properly assess. In any case, I would expect the response to be restrained. Certainly not to shoot people point blank in the head, repeatedly. Their are modern techniques of riot control that reduce loss of life effectively. And to repeat the point, the death tally speaks for itself, really. No Israelis dead. Eight Turks and an American killed. I was in Bangkok in May when the Thai army went in and killed around 60 red shirts. Only 1 soldier was killed. That also was an imbalance so high suggesting an unacceptable casualness with respect to human life. "Putting the events into a vacuum like that distorts the picture. " If you don't believe me, try this. You can see that happening in the video. If you try to beat an armed soldier with an iron bar then the results are fairly predictable, WHATEVER the nationality of the soldier involved. Your response is something of a non-sequitur. You are just repeating the point I just addressed. The issue is twofold. It is not the nationality of the protagonists, but the way that you present the incident in a vacuum. And secondly, it is about whether shooting people in the head at point blank range represents best practice in riot control. I don't know what nationality has to this, particularly not Syrian nationality. And you wish to construct this debate within your own frame of reference, which is why you refer to the arguments of others as non- sequiturs. This is not the first or second time that you have taken such an approach, nor will it be the last. You are dismissive of the arguments of others, not a terribly conducive habit for an amicable exchange of views. Calvin, I'm not sure this has much further to run...why don't you sum up the arguments, come to a judgment, and we'll leave it there? Well, I would have preferred not to, as it simply ends the current debate. In short, my original post commented on the wider regional and strategic ramifications of the flotilla incident and the existentialist bearing this has on Israel, which is of theological importance to many Christians. Andrew commented on this existentialist aspect, asking the important question of what Israel's demise might do to the faith of Christian Zionists. You chose not to discuss the wider stategic issues, focusing on the event itself and saying I did not much care about the deaths of people who are now without God. After that we never really got back on track. For you Israel was completely wrong in her actions, while for others violence was met with inevitable violence. All this aside, this thread is not closed if anyone wants to add anything else or raise other issues. Concerning the question of christion zionists and Israel's failure. Before the term 'christian zionist' was coined those who believed in the restoration of the Jews to their homeland were simply called 'Restorationist'. The restoration of the Jews is assured of in the Bible, however, what is not so clear is how and when. but of their gathering unto the Land; that is a promise God made to Israel. The people of Israel and the Land of Israel are intrinsic of God's unconditional covenant to the Patriarchs. I can accept the former as possibly being part of God's plan, but still have a problem with the state being called 'Israel' instead of 'Judah'. Israel was a spiritual title given to Jacob when he came into submission with God. I would suggest that the formation of a state called 'Israel' has an iconic attraction for Christians which means they don't necessarily ask in depth questions about how old testament texts need to be translated into the new covenant. i.e. 1 Peter, Ephesians, Galatians, Hebrews etc. I guess I see the march of zionism as somehow being in opposition to the Church and that many Christians are giving up on the Church because of a strong love for the visible State of Israel. "The stone the builders rejected has become the capstone,"and, "A stone that causes men to stumble and a rock that makes them fall." They stumble because they disobey the message—which is also what they were destined for. But you are a chosen people (genos = race), a royal priesthood, a holy nation (ethnos), a people (laos) belonging to God, that you may declare the praises of him who called you out of darkness into his wonderful light. I can accept the former as possibly being part of God's plan, but still have a problem with the state being called 'Israel' instead of 'Judah'. Israel was a spiritual title given to Jacob when he came into submission with God. I would suggest that the formation of a state called 'Israel' has an iconic attraction for Christians which means they don't necessarily ask in depth questions about how old testament texts need to be translated into the new covenant. i.e. 1 Peter, Ephesians, Galatians, Hebrews etc. Mmmm. Exegetically and theologically, Andrew, Israel has various connotations in the Bible, whether a person (Jacob), people (Jews), united nation (Israel before the Schism), a segment of the Jewish population (post-Schism Northern Kingdom), or the wider people of God to which Gentiles are grafted on. Sorry for dual posting. I was referring to the theological significance of the meaning of Israel that 'he has striven or been saved by God.' Jacob struggled with an angel for God's blessing when he was fearful of meeting Esau - who for good reason wanted to kill him. In other words, in this act Jacob stopped trusting in his own cunning and instead wanted God to rule over his life and save him. I would argue exegetically that that is the correct spiritual context for those who want to use the name to live in. I agree that labels are used differently. Sometimes Judah is labelled as Israel, perhaps even scattered Israelites are sometimes referred to as Jews in a religious sense which adds to confusion. I agree with you to some extent Calvin. The scattered northern Israelites were still referred to as the house of Israel (Jer 31:31) even after God had divorced them. He had not forgotten them and promised their return. I guess what troubles me is that some forms of Christian Zionism ascribe spiritual significance to the State of Israel even though it is not yet in submission to David's descendent - Jesus. (Jer 23:5) - The days are coming," declares the LORD, "when I will raise up to David a righteous Branch, a King who will reign wisely and do what is just and right in the land. The promise was made to Abraham then confirmed to Isaac and again re-confirmed to Jacob/Israel. The State of Israel has theological and spiritual significance, whether we like it or not, the political entity known as The State of Israel is not going to go away, nor will it be delegitimised, the attempts to put Israel on a par with apartheid South Africa will fail, though Israel will go through a lot of turmoil, it will still remain a nation (Jer 31.35)Israel has always been a nation,though dispersed to the ends of the earth, they have remained a distinct people, who have also contributed more to civilization than all other nations put together. The new covenant was made with Israel (Jer 31.31) the gentiles are grafted in, though some branches were broken off, they, the Jews, will be grafted back in again. When our Lord returns it will be to the mount of olives in Jerusalem, not westminster nor washington, and the Jews will recognise their Messiah as one and the same Jesus/Yeshua! The 'Church' or christendom, is not the body of 'Christ', it is an institution which has removed itself far from its Jewish roots. The first century 'church' was predominantly Jewish, the first 'bishops' were Jewish, the brother of Yeshua, James/Jacob was the 'bishop' at the Jerusalem council (Acts 15)and the debate there was about whether gentiles should adopt Jewish customs, today the same question but in reverse, should Jewish believers become 'churched' instead of holding their own congregations with distinctively Jewish flavours. Personally I find 'churches' boring and lacking in any real 'audience' participation. I'm tired of sitting in the pew and being 'entertained' and being told when to pray and what to sing, by some 'ordained' minister. 1 Peter 5.3:'neither as being lords over God's heritage,but being examples to the flock'. instead of this 'church' hierarchy. it is no more of God than catholicism , 'churches?' give me a break! The whole 'clergy/laity' divide is adequately explained in 'nicolaitanism' by F W Grant. Chris - we need to examine the logical structure of the metaphor of the olive tree because I find some Christian Zionists do not use it consistently. Who is the root? - is it not true Israel? Who is grafted in? - gentiles. Who are the branches broken off? - Jews who rejected Jesus. So how can the Jews who reject Jesus be at the same time the root and the broken-off branches. Such Jews can be grafted in again into the true root of Israel, but at present how can they be part of true Israel outside of Christ? (If we maintain the coherence of the metaphor). Secondly, you confirm my fears. That the teaching of Christian Zionism is leading Christians to give up on the Church. To put it mildly, I don't find this at all healthy. The Church is spiritually the body of Christ (and the root of Israel), whatever problems there may be with institutions and structures and Christians should love it. And the Church is already full of Jewish culture and symbols. The communion table, the Hebrew Bible, ten commandments, Songs and hymns about New Jerusalem etc. Correction: the verses I should have quoted concerning Israel remaining a nation for ever; are Jeremiah 31.36-37. The original translation made by Tyndale had the word 'congregation' not 'church' , that was put in later by the KJV translators for 'ecclesiastical' reasons, same as the word bishop and many more that I cannot go into on a note I'm trying to keep brief. These are theological hot potatoes concerning Israel and the Ecclesia. The Ecclesia is not Israel. it is the called out ones from all nations. The Olive Tree is Israel as mentioned throughout the Bible, (7 pages of my concordance under the heading: Israel) and we know their history is a very checkered one of exile and return, of disobedience and repentance. Remember Elijah complained of Israel forsaking the Lord, but what was God's reply? 1 Kings 19.18 and repeated in Rom 11.4-5, so we see there has always been a remnant: the true Israel or 'Israel of God' as mentioned in Gal 6.16 which rightly refers to the Jewish believers (not the church). Again, these are very complex theological issues, many books have been written arguing for one side or the other. I don't hold Israel right or wrong because I believe there is only one name given for men to call upon to be saved (Acts 4.12) at the same time neither do I dismiss Israel today as insignificant. Who is going to look upon him that they have pierced and mourn in Jerusalem? Zech 12.10-11. It is not a building nor organization that I need to subscribe to in order to be saved. "No pain? Well that's alright then"